hayya lovelies. 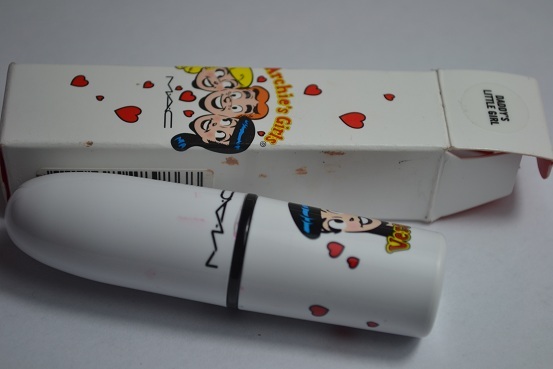 Today im going to review the MAC Archie's girls daddy's little girl lipstick. before I start this review, I would like to let you know I will not be able to put up posts or videos on a Saturday anymore. I will let you know why and more about that in my next post. anyway on to my review. 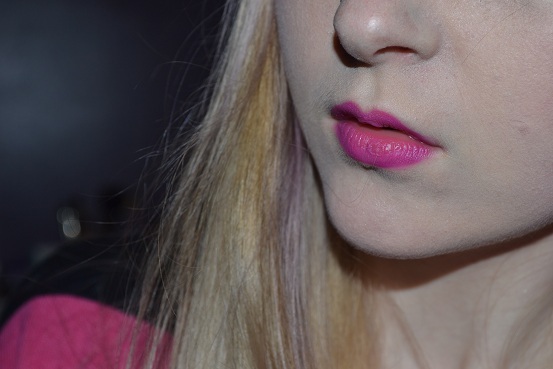 My thoughts - This colour is so beautiful in the tube it dose look a lot more purple but on the lips its defiantly more pink. it has a satin finish so lasts a long time on the lips without drying them out. also I thought I would mention the packaging is supper cute and amazing. 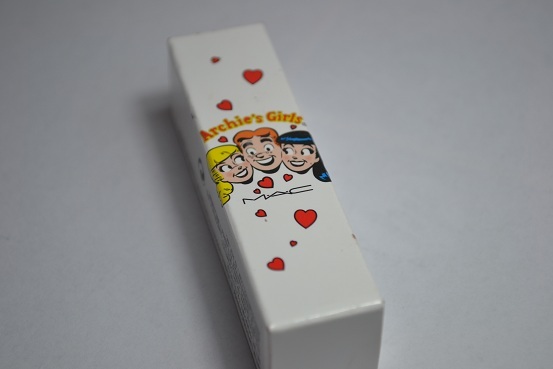 MAC Daddy's little girl is part of the Archie's girls collection. I'm not sure when this will be on MAC but do keep an eye out and grab it up when it dose come out as its a beautiful colour. you can also but this on selfreges right now but shipping is £5. 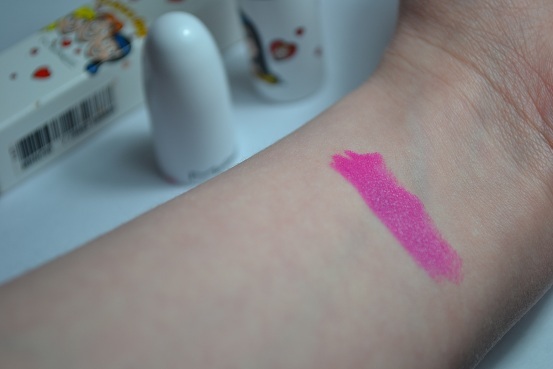 This lipstick is a bit on the pricey side being £15.50 an extra £1.50 from MACs normal lipsticks. 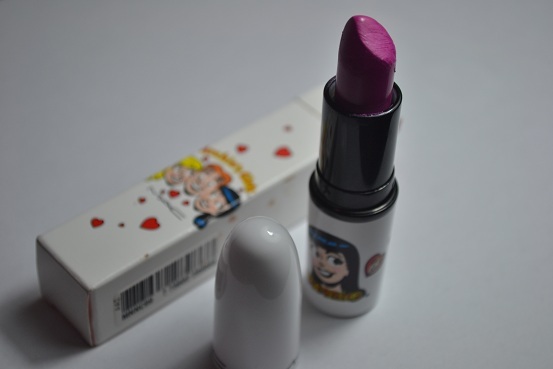 I give this lipstick 4.5 hearts it would be more but I marked it down half a heart because of the price. let me know what you think of this lipstick and make sure to enter my 750 follower giveaway for the chance to win a MAC eyeshadow of your choice. 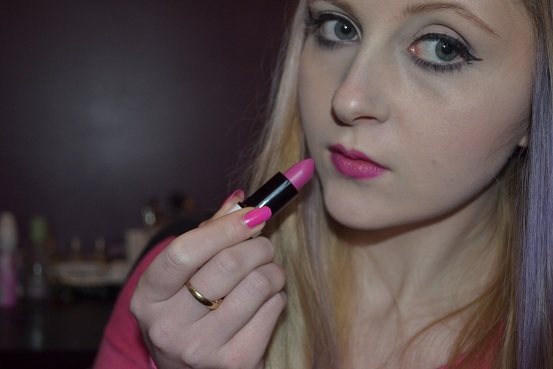 That's a pretty pretty shade Elysa and am totally loving how it looks on you! This color is really pretty on you! I really look bad in purpley colors (sadly!) but they look really, really amazing on you Elysa! This colour is amazing! I wouldn't have thought this would suit me, but really want to try it out now.